Everything you need to know about mobile unlocking. Find out which networks lock their phones, how to unlock your handset and where to buy a new unlocked smartphone. In the UK, some mobile networks will lock your smartphone to their network so you won’t be able to use the handset on a different network. The process of removing these restrictions is known as ‘mobile unlocking’. Following a successful unlock, network restrictions will be removed and you’ll be able to use your mobile phone on any compatible mobile network. In this article, we’ll tell you everything you need to know about mobile phone unlocking. We’ll start from the benefits of unlocking your handset and how it allows you to get cheaper deals both in the UK and abroad. We’ll then look at the handset locking policy on each UK network before discussing how you can unlock an existing smartphone. Finally, we’ll discuss how to buy a new unlocked smartphone from retailers in the UK. 2 Which Mobile Networks Lock Their Smartphones? Access to more mobile networks & cheaper tariff options. With an unlocked handset, you’ll be able to access SIM-only and Pay As You Go deals from many more mobile networks. You can often save hundreds of pounds per year by switching your mobile network or tariff. 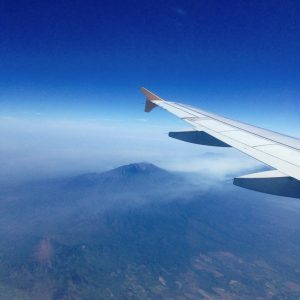 Save money when travelling abroad. If you’re travelling abroad, particularly outside of Europe, you’ll normally need to pay international roaming fees. With an unlocked handset, you can side-step international roaming charges by buying a SIM card in the country you’re visiting. Increased resale value & second-hand usage options. An unlocked handset will retain its value much better, which is advantageous if you’re looking to sell it on places like eBay or Gumtree. You can also give your unlocked handset to friends or family members, who’ll be able to use it on their mobile network of choice. It’s perfectly legal to unlock your smartphone and all UK mobile networks provide an official way for you to do it. Unlocking doesn’t affect the warranty on your device (assuming the unlock is processed officially through a request to your mobile network). For many people, one of the key benefits of unlocking their smartphone is having the ability to use it on a different mobile network in the UK. This means having a much wider-selection of cheaper SIM-only deals, saving you money on your phone bill every month. * On BT Mobile, a £5/month discount is available for customers living in a BT Broadband household. It’s easy to keep your existing phone number when moving to another network. For a complete overview of all the available SIM-only options, please see our full guide to the UK’s best value SIM-only deals. If you’re travelling abroad, especially outside of Europe, it can be expensive to use international roaming on your normal UK SIM card. If you’d like to use a different SIM card when travelling abroad, you’ll first need to unlock your smartphone. With an “All in One” Pay As You Go bundle, the inclusive minutes, texts and internet can be used abroad in a Feel At Home country. In Europe, you’ll normally be able to use your phone at no additional charge on all UK-based SIM cards. In other countries, it might be worth considering buying a SIM card from one of the local mobile networks as this will normally be a lot cheaper than roaming on your UK-based SIM card. For more information, please see our in-depth guide to travelling abroad with your mobile phone. An unlocked smartphone has better resale value on eBay & Gumtree. An unlocked smartphone also gives you additional benefits in terms of increased resale value and more second-hand usage options. If you’re selling your smartphone on websites like eBay and Gumtree, an unlocked smartphone will often sell faster and for more money. This is because the potential audience of buyers is much wider (otherwise, you’re restricting your set of potential buyers only to customers of one mobile network). If you’re giving your handset to a friend or family member, having an unlocked handset will also give them many more options. They’ll be able to use the handset on their mobile network of choice (including on one of the best-value SIM-only or Pay As You Go deals). Which Mobile Networks Lock Their Smartphones? In the UK, only some mobile networks will lock smartphones to their network whereas others will typically provide their handsets unlocked. Are Handsets Locked To The Mobile Network? BT Mobile No. Handsets are provided unlocked. EE Yes. Handsets are normally locked to EE. giffgaff No. Handsets are provided unlocked. iD Mobile No. Handsets are provided unlocked. O2 Yes. Handsets are normally locked to O2. Sky Mobile No. Handsets are provided unlocked. Tesco Mobile Yes. Handsets are normally locked to Tesco Mobile. Three No. Handsets are provided unlocked. Virgin Mobile Yes (PAYG only). Handsets are locked on Pay As You Go, and unlocked on contract. Vodafone Yes. Handsets are normally locked to Vodafone. Some mobile networks decide to lock their smartphones as they may “subsidise” the upfront cost of the handset. 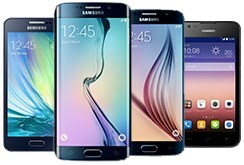 By offering handsets as a loss-leader, they try to attract new customers to their network. The network-locking mechanism provides a way for networks to stop you from taking a subsidised device and immediately using it on another mobile network. On request, all UK mobile networks will unlock your smartphone, but this may be subject to a small fee or eligibility requirements (e.g. they may ask you to have been a customer on their mobile network for a certain amount of time). The table above should give you a good indication about whether your smartphone is likely to be locked to a mobile network. If you’re still unsure whether your smartphone is unlocked, the best way to check is by ordering a free Pay As You Go SIM card. The SIM card you order should come from another mobile network (though there are a couple of caveats, see * below for more details). When your new SIM card arrives, insert it into your smartphone. If the SIM card is accepted and you can see the name of the mobile network being shown on the screen, then your smartphone is unlocked and there’s nothing further you need to do. If you see an error message such as “SIM Not Valid” or “Invalid SIM” then your smartphone is currently locked and you’ll need to unlock it. 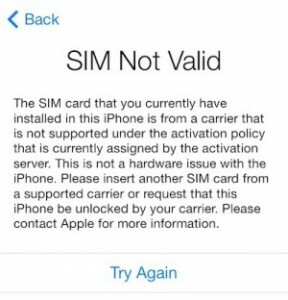 If you see a message saying “SIM Not Valid” or “Invalid SIM”, your smartphone is currently locked to a network. (* Caveat: You should ideally test your phone using a SIM card from a mobile network that uses a different coverage provider. For instance, a giffgaff SIM card may work in some O2-locked smartphones as giffgaff makes use of coverage from O2). Find out whether your smartphone is already unlocked. If you’re still unsure, a good way to check is to order a free Pay As You Go SIM card from another network. Obtain the IMEI number for your smartphone. If you need to unlock your smartphone, the next step is to obtain your 15-digit IMEI number. This is a unique identifier for your smartphone and can be found by entering *#06# on your telephone keypad (star hash zero six hash). Ask your mobile network to unlock the smartphone. Depending on your mobile network and tariff, this can cost you up to £15. 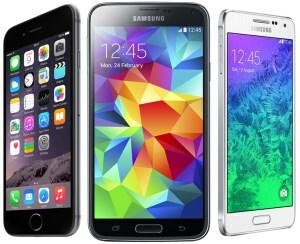 For more information, see our guides on unlocking an iPhone and unlocking a Samsung Galaxy. When the unlock has been processed, enjoy using your new mobile network or SIM card. It can take up to 10 working days for your handset to be unlocked. Once the unlock is complete, you can enjoy cheaper rates at home along with cheaper rates when you travel abroad. For more information, follow our step-by-step guides to unlocking an iPhone and unlocking a Samsung Galaxy smartphone. If you have an Android smartphone from a different manufacturer, you can still follow most of the instructions in our Samsung Galaxy article (the menus on your phone may look a little bit different but the instructions for unlocking will be exactly the same). If you’re looking to buy a new unlocked iPhone, the best place to buy from is normally John Lewis. 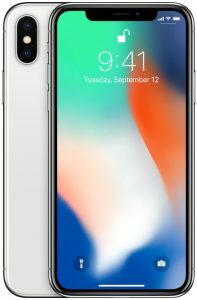 John Lewis provides permanently-unlocked iPhones at the same price as going directly to Apple, but with the addition of a two-year guarantee at no extra price. You’ll also benefit from the John Lewis “never knowingly unsold” promise. * Requires a £10 minimum top-up with purchase of iPhone. If your iPhone was purchased before July 2017, please see our guide to unlocking SIM-free iPhones. For all other smartphones, there’s a wide variety of online retailers where you’re able to buy an unlocked smartphone. If you’d like to buy an unlocked smartphone that isn’t an iPhone, there’s a wide choice of retailers you’re able to choose from. If you’re happy to get the phone on a Pay Monthly contract, try the Carphone Warehouse or Mobiles.co.uk. Both of them will provide you with an unlocked handset on a 24-month contract (the contract will often be the same price or slightly cheaper than getting it directly from your mobile network). On Pay As You Go, you can get a handset from either giffgaff or Three (both giffgaff and Three provide their handsets unlocked so you’ll be able to use them on the mobile network of your choice). You can also buy a SIM-free smartphone directly from the manufacturer website (e.g. from the Google, HTC, Huawei, Motorola, Samsung or Sony official websites). 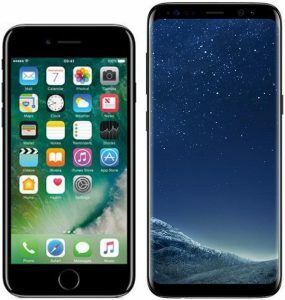 For more information about unlocking your smartphone, please see our step-by-step guides to unlocking an iPhone and unlocking a Samsung Galaxy smartphone. Once you have an unlocked smartphone, you may find it useful to read our guide on the best value SIM-only deals. We'd love to hear your thoughts and any questions you may have. So far, we've received 94 comments from readers. You can add your own comment here. I have a Google Pixel bought from Carphone Warehouse and am on the 02 network. When travelling outside the EU I would like to use a foreign SIM card so I tried to unlock it. 02 said they couldn’t do it as I had bought it from Carphone Warehouse. Carphone Warehouse said they couldn’t do it and only 02 could but that their phones came unlocked for UK SIM cards. They also advised me to call the manufacturer. And Google said they had never even heard of such a question and couldn’t help. So, will my phone work with a foreign SIM cards? How do I unlock it? Nobody is able to tell me. Quite surreal! Anything you can do to help would be most appreciated. Many thanks for your comment. I believe Google Pixel phones sold by the Carphone Warehouse should be unlocked for use on any network. Have you tried it with a different SIM card in the UK (e.g. from ASDA Mobile)? It *should* work a SIM card like that one – if so, it will confirm that you’re not having an unlocking-related problem. If you’re having problems even using another UK SIM card, that would back up the theory the handset is locked (but I’d be very surprised to hear this!). Hi Ken, First thing is I have a PAYG mobile with O2 and I want to get a second hand phone from Cex. I don’t need an all singing all dancing phone but better that I buy an iPhone as I have an iPad. Is there a phone you can recommend that I buy ? Also can I put the SIM card from my current PAYG into the phone I buy ? Second thing, I am going to Canada in June, is it best to buy a Canadian SIM card for my UK mobile ? Many thanks for your time and a great website ! Many thanks for your comment. I don’t have a specific phone to recommend I’m afraid, as it really depends very much on what you’re looking for and what you require! I wouldn’t necessarily restrict your search only to iPhones e.g. the Moto G is one of my favourite devices (it runs on Android) and is available at a very good price point compared to a typical iPhone. With regards to your visit to Canada, I expect it will probably still be best to get a local SIM card whilst you’re there! While there are a number of really good roaming deals for visiting the USA, I’m not aware of anything at the moment for visits to Canada. Hi I have a Samsung a3 originally locked to O2 but unlocked and used with orange sim. It seems to have locked again and I have not got the original unlock code I bought! Many thanks for your comment. As far as I know, Samsung smartphones should not become locked again (i.e. if you’ve already unlocked it, it should permanently be unlocked from then on). Sorry this probably isn’t of very much use – are you able to recover the unlock code you previously purchased from O2 and apply it again to your phone to see whether this makes any difference? Hi ken, 02 contacted me about a new deal,I am currently with Vodafone. I sorted out the tariff that I wanted and got my Pac code from Vodafone. I am stuck now because my phone isn’t unlocked and o2 never mentioned that my phone should be to get a sim off them. What do I do now please? Many thanks for your comment, and sorry to hear about the problem you’ve encountered moving from Vodafone to O2. It sounds like the logical next step might be to request an unlocking code from Vodafone – you just need to follow the instructions on this page. There’s no charge unlocking your handset from Vodafone (all that’s required is you’ve used it for at least 3 months on Pay Monthly, or 30 days on Pay As You Go). great informative site!I am travelling to South Africa shortly and want to be able to surf the net and email from a place with no wifi. What is the best option for me? I have a Sony smart phone that I bought from O2, then took out a sim only contract with Bt that involved O2 unlocking the phone. I assume it is unlocked but have taken your advice and ordered a free sim from Asda to try. Should I buy a sim card in South Africa (or get my relative to get it) and buy data……. will it work ok? Thanks for your comment. Yes, your best bet would probably be getting a local SIM card while you’re out there in South Africa (as most UK networks will have extortionate roaming charges there). As you say, it’s definitely worthwhile making sure your handset is unlocked before you go, and ordering a SIM card from another network like ASDA Mobile is a great way to do this! Hello. I’m having a torrid time getting a tesco phone unlocked. It’s a MOTO G and the contract is up so I’ve moved to talk talk on a sim only deal. Tesco have given me a code but it doesn’t work. They say they’ll send me another one in twenty days. I have bought one off eBay and it’s exactly the same as the one I received from tesco. I have powered off my phone, inserted the talk talk SIM card, and turned it on again. It says “sim network unlock pin” but when I input the code it says unsuccessful. I have spoken to talk talk and they say everything is fine at their end. I have read that tesco phones are double locked. Is that true? If so what does that mean? Is there anything I can do about it? Thanks for your comment. I believe ‘double locking’ means the handset is specifically locked to Tesco Mobile (as opposed to some MVNOs that only lock the handset to their coverage provider e.g. in this case, you’d be able to use the handset on O2 and other O2 MVNOs). Either way, this shouldn’t affect the unlocking process for your smartphone. Once you’ve received the code from Tesco Mobile and got it to work on your phone, it will then be unlocked for use on any network. Sorry I can’t help any further – but the onus is now on Tesco Mobile to provide you with an unlock code that works. Not true sometimes Tesco cannt unlock the phone. Whether thats to do with the double locking indon’t know. O2 sim card didn’t work in the phone. So after a few calls it was sent back to their mobile repair to hard unlock. They couldn’t do it and send out a brand new samsung j3 instead. Bought a Nokia 3310 and made £70 profit in the mean time. hello i just bought an iphone 7 from carphonewarehouse and when i took it to morocco i couldn’t activate the card as my phone comes with is region lock even its a pay as you go sim free phone. if i activate my phone with 3 so it will be locked to three, and when in case i contact three to remove the lock! can this phone accept a foreign card. Tomorrow I get my Samsung Galexy Note 7, it is on a contract from Three. However, before using my new contract Three sim I want to use my EE sim until the end of my current allowence period (as I get more data which I need for now and will have paid for anyway). A few days before teh end of my notice period with EE i am going to transfer my number to the Three sim card and insert my Three sim. Will inserting my EE sim card first lock my phone to EE so that when the time comes to use my Three sim card it won’t work? or will it be perminantly unlocked? Sorry if this is a silly question. You’ll be glad to know that it’s safe to use an EE SIM card in your Galaxy Note 7. Only SIM-free iPhones will lock themselves automatically – the behaviour does not extend to other brands of smartphone. I have just bought an iPhone SE from a well known national UK second hand retailer, who told me it had come in brand new, in original box and still cellophane sealed, probably as as unwanted upgrade. They have opened the box to run the usual tests to ensure it is not reported stolen or lost, and sold it to me as unused and unlocked. However, on putting my 3 mobile SIM into it, I am getting the message on screen that the SIM is not supported and I should contact my service provider. I cannot get beyond this message, even connected to wifi, so I can’t find out what network the phone is locked to. Even if I could, I don’t see why I should have the hassle of getting it unlocked, as I bought it in good faith as unlocked, but that’s by the by. I have searched for help, and tried a few URL links that are supposed to tell you who a phone is locked to by putting in the IMEI (which is on the box), but nothing useful has come up. Is there any way of finding out who a phone is locked to when you can’t access the settings? I will be going back to the shop tomorrow, but wanted to know what my options are if they are unhelpful. I paid over £400 for the phone, wish I’d bought one from Apple now. In this situation, I’d probably recommend returning the handset to the retailer (as you say, the goods were not sold as described). If you’d like to find out which mobile network the iPhone is locked to, you can do this by bringing the handset to your nearest Apple Store (they can check the activation policy at the Genius Bar). Thanks for the reply Ken. All is now well – I took the phone back to the retailer, who agreed it was sold as unlocked but was locked, and they have arranged for Apple to unlock it, without any charge to me. Sorry to have taken up your time, but it was very interesting reading other people’s tales! Thanks for your very detailed web pages, I am still worried by one of your comments as I have just ordered an iphone 6 from Amazon marketplace retailer who describes it as “factory unlocked” Sim free, UK version. This would all seem fine but your comment about third party providers not selling phones that will work outside UK is causing me to panic as I definitely want to use this abroad and have checked all the usual stuff about it being quad band etc. (I have been thinking of upgrading my existing EE monthly contract to one more suitable for the iphone 6, but they are quite open about saying that once their SIM is installed, the phone will lock to their network)…..all very confusing! Thanks for your comment. With SIM-free iPhones, it’s sometimes really tricky knowing what you’ll get (you can however always resort to consumer protection regulations if the goods are not sold as described). Personally, I’d make a strong case for buying your iPhone at retailers like giffgaff as you’ll always know you’re getting a permanently unlocked handset. Thanks Ken, basically there is a lot of conflicting information around from both service providers and retailers, but I have now had my iPhone 6 from an Amazon retailer for over a week and everything works as it said on the can!, including working abroad. I got no leeway from EE who simply said that I could pay to unlock my new phone which is ok but a hassle if you are abroad and want to do it quickly and simply. My solution was to shift to a SIM only deal with 3, who assure me that they do not lock phones to their service using a new SIM only contract with them, (the salesman said it is the card that locks the phones and the iPhone has software that responds to this). A nervous few days buying and setting up, but all working seamlessly now! I have obviously not tested the unlocked nature of the new set-up, but have taken their word for it. Hi Now I am a real Dummy and have just bought a new cheap smart phone that is unlocked. My husband is having my old phone and number. I am thinking of going with Tello – do I get a new mobile number from them or what do I do? I am sorry that I am so dense. Not too au fey with mobile technology – OK with computers. laptops and ipods! So forgive me. Thanks for your comment. When you order a SIM card from Tello, you’ll initially be given a new phone number from them. You can either continue to use the phone number assigned to you by them or you can transfer your existing phone number over to Tello. For the latter, you can see my step-by-step guide to transferring your phone number to Tello. Thank you Ken I really appreciate your reply. Very helpful. I recently renewed my contract with Three (My wifes account) and took out a new Samsung Galaxy S5. My wife previously had an iphone 5C. She tried to use the new Galaxy and did not likeit, swapping back to her old Apple 5c. I thought I would have to unlock the phone, however, it takes my own EE sim and works fine. However, the startup splash screen still says THREE. Can I get rid of this or stop it from displaying THREE? do I get rid of this? Thanks for your comment. The good news is Three provides all of their handsets unlocked so that’s why you’re able to use it on EE without any problems. The handset, however, will have Three’s version of the Galaxy firmware (hence why it shows the Three logo when you switch on the phone). The only way you can remove this logo is to install some custom firmware (this can be highly complex and I’d probably recommend against doing this as it will invalidate your warranty, etc). I’m currently on an Asda mobile sim only plan, which I top up and get a 30 day bundle – minutes, texts and data. I currrently use a Nokia 6500s. I’ve just bought an unlocked Moto G 3rd generation – can I just use my current sim in my new Moto G? The sim has cutouts to reduce it to a micro sim, so it’ll physically fit, but I’m not sure whether, having been used in a non-android phone, my Moto G will be damaged in any way by using my current sim in it. Yes – you can simply pop-out the Micro SIM and insert it into your Moto G! SIM cards are actually designed to be portable between devices so there’s no problem at all doing this. 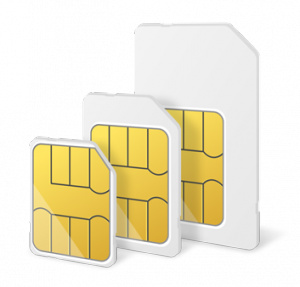 For more information, see my guide to changing the size of your SIM card. Does anyone know if a SIM provided by TalkTalk (not Talkmobile) will work in a Vodafone locked handset (i.e. Samsung S7)? Thanks for your comment. I do believe a TalkTalk Mobile SIM card will normally work in a Vodafone-locked handset. However, it’s obviously not guaranteed so it’s worth bearing this in mind when buying the handset. Also, TalkTalk will soon be changing their network coverage provider from Vodafone to O2 later this year. When they do so, your Vodafone-locked handset will no longer work on their service. So the answer is yes, potentially, but I would try and avoid doing this if you’re able to do so! Hi – I am moving to France temporarily and need a PAYG smartphone which will enable me to make local calls , receive texts & emails from friends and family and surf the web – is the cheapest solution to buy an unlocked phone and a local Sim for France? Thanks for your comment. Yes: you’re probably best off getting an unlocked smartphone and then getting a local SIM card upon arrival in France. If you’re only going for a fairly short time, you could also consider using Feel At Home on a SIM card from Three UK (but this isn’t ideal for long-term trips and it doesn’t include calls to a French number). Would a locked vodafone smart first 6 payg phone work with a talkmobile sim -or is there an unlocking code-or do I have to pay vodafone £20 to unlock it? Thanks for your comment. I believe you can normally use a Talkmobile SIM card in a Vodafone locked handset – you can get a free SIM card here (you’ll need to choose the standard-size SIM card). Is it safe to buy from Very? I’ve not personally tried buying from Very.co.uk but it should be fine as it’s a part of the Shop Direct Group (Very was previously known as Littlewoods Direct). Can I get composition from everywhere everything for giving me wrong slot number? Thanks for your comment. The number you’ve given is actually your SIM card serial number: if you haven’t already you can use the form here on EE’s website to activate the new SIM card. With regards to the two SIM card slots in your dual-SIM handset, you can choose either slot in which to place your new SIM card (either one should work). With the remaining slot, you can then use a SIM card from another network. I have a cheapo Nokia 1616 mobile – pay as you go with EE/Orange. I have just inherited a newer Nokia 301.1 from my daughter as she has bought a smart phone on an O2 monthly plan. The Nokia 301 she gave me is locked to O2 and I wanted to get it unlocked to use with my Orange Pay/Go sim. On the O2 website I saw that O2 customers on pay monthly plans can get their phones unlocked for free. So I asked her to go online and request unlocking. First problem was that when she went on to her account to request unlocking she could only access her current phone, not the previous one that she’d given to me. Although she was told in store that her old one would still be on the system. She spoke to a customer services person online about unlocking the previous phone and was told that as she had bought it from Argos in Nov. 2013 with an O2 sim with £10 credit, it was not deemed to have been on a contract and did nor qualify for free unlocking. This is despite the fact that she has been an O2 customer for over 10 years, and currently has a pay monthly account with the network. Has anyone else come across this annoying little distinction? I’m planning on buying a sony phone which is locked to O2 on PAYG as its much cheaper than my network. I want to immediately unlock to use with EE, but o2 wont do this for 12 months, however i’ve found some third party SIM unlocking services with good reviews that provide a ‘factory unlock’ code for these phones – would this work on a new phone? Thanks for your comment. How much is the cost saving to buy your handset on O2 and then to unlock it via the third-party service? If it’s only a small amount, I would probably advise still buying the handset SIM-free (as you never really know how reliable these services will be, and you could end up with a handset that’s totally useless to you). With regards to the actual unlocking services, unfortunately, I’ve not tried them so can’t comment with regards to the efficacy (the only way to unlock your handset officially remains via your mobile network operator). i have recently purchased a Samsung Galaxy edge from Hong kong. It is locked to the docomo network. Is it possible to unlock this to work in the uk? Thanks for your comment. Unfortunately, you’ll need to ask Docomo to unlock the handset. You can find out more by seeing the information on Docomo’s website. I believe your iPhone 6 should permanently be unlocked. Upon a factory reset, your iPhone will check its status against Apple’s activation servers. Providing your iPhone is listed as unlocked on this server, it will still be unlocked after you factory reset your phone. I have an HTC One phone ( that I love) on Orange PAYG Dolphin plan. I am moving to Abu Dhabi soon, so have bought a dual sim adaptor for the phone. Can I keep my Orange plan, then add another local sim out there or do I have to unlock my phone ( thus losing my existing credit)? Thanks for your comment. Unfortunately, I’m not 100% sure how dual-SIM adapters actually work (though my guess is it’s essentially a switch that sits in between the two SIM cards and the handset). If my understanding of this is correct, then yes: you will need to unlock your handset before you’re able to use a SIM card from another network (even if you’re doing this via a dual-SIM adapter). By the way, it’s also worth making yourself aware of the Orange Pay As You Go inactivity policy (you’ll need to use the SIM card for a chargeable activity at least once every 180 days to keep the SIM card active). You’ll need to follow the policy to avoid your SIM card being cut off when you’re travelling abroad. When I search for mobile networks, LIME ( and another server) comes up which Vodafone is not connected with. They are all forbidden. However, Digicel and Cable and Wireless do not. The issue started last year when I arrived in Barbados after a two day trip to find I had an 800 dollar bill (given the wrong advice in the Vodafone store. The Vodafone technician did something which means I can’t use the phone in Barbados. But I did get roaming on the way in New Zealand AND THE USA. All they keep doing is apologizing and telling me they are switching Int Roaming on and off. They think if I didn’t work the first time it might work the 101st time! I’d appreciate any ideas. Lateral or otherwise! Thanks for your comment. Unfortunately, you’ll have to direct this question at Vodafone Australia – it concerns the billing on their network. I’m afraid I wouldn’t be able to even make a wild guess on what is happening in this case. Hi ken can you help me? I am with talk talk and I need a new handset.My have read that vodaphone supply talktalk service then somewhere else I read that the deal with vodaphone was over and talktalk are now supplied by 02, is this right? I am curious as to why you do not mention that it is possible to purchase unlocking codes for many models of phones from Ebay. The prices seem fairly reasonable, the service is quick, and the vendors all have very good feedback ratings. I have successfully unlocked 2 Samsung phones using this method. One was locked to to Orange and the other to EE. The process is very simple. In each case I obtained the phone’s IMEI number by typing *#06# into the handset’s keyboard. I then purchased the code for 12.99 from ebay and added a PayPal note to the vendor, informing him what the IMEI was. Within a couple of hours the vendor sent me a message with the unlocking code. I then inserted a GiffGaff SIM card into my phone and started it up. Once it booted it recognised the alien SIM and immediately went to a screen asking me to input the 8 digit unlocking code I’d received from the vendor. Once I’d done this the phone was instantly unlocked. I believe this system only works during the working week, so if you buy a code on a Saturday, you will not receive it until the Monday. Other than that, it seems a very straightforward system. Thanks for your comment and a very good question! 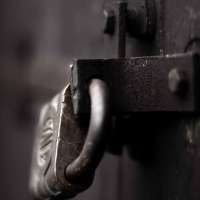 In my article, I only discuss the official way of unlocking your handset (only your mobile phone network is able to provide an officially sanctioned unlock). For some handsets (not the iPhone), third-parties are able to unlock this by cracking or generating a phone unlocking code. Some of these will work without a problem but it certainly isn’t an officially-sanctioned code (the third-party sellers simply reverse-engineer the unlocking algorithm to find the right code). 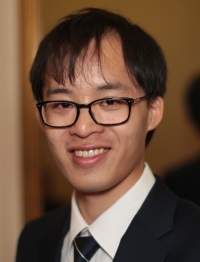 Hi Ken – many thanks for your thread regarding unlocking a second hand iPhone 4s locked to Orange which I had bought. Getting myself set up with an EE PAYG account worked perfectly!! Hello, I’m planning to buy a sim free Samsung S5 in Germany, can I use it in UK without any problems? Thanks for your comment. It shouldn’t be a problem using an unlocked German Galaxy S5 on a UK mobile network. It’s worth being aware of Samsung’s region-lock but the good news is it allows you to immediately use your phone in any EU country (both the UK and Germany included). I have bought a galaxy s from a friend. It was originally on virgin but they had it unlocked and they used it on 3. I put in an o2 sim and it looks like there’s signal but not registering on network. Have tried a Vodafone sim too and same thing happens. Thanks for your comment. I assume you aren’t seeing a message like “Invalid SIM”? If so, the SIM card has been accepted by the phone (it’s not a problem due to the handset being locked). It’s worth trying this to see whether it solves the problem: Application > Settings > Wireless and network > Mobile network > Network operators > Select network automatically. Sometimes you won’t be able to find the network if it’s specifically set to only look for one network. Hello! I have a bit of an unusual question as well.. I have recently been given a phone (LG G3) to me by an English friend, so it’s an English phone. He works for a large phone company in England, so I don’t think he paid for it. The phone has been used in the UK for a short time. However, I live in The Netherlands and I want to use the phone here but my Dutch simcard won’t activate in the phone. The phone asks for my personal simcard pin (no other code..) so the phone recognises my simcard but then I have no network or internet. I can’t select any networks either. As the phone doesnt ask for another pincode but the personal simcard pincode I am unsure whether or not it’s a UK lock. Do you have any idea of what else it could be? Should I call the English phone company? I’m kind of afraid they won’t help me because i’m abroad. Is there another way? Thanks for your comment. Have you tried using the LG G3 without a SIM card inside? If so, did it still ask you for a PIN unlock code? If the message shows only when a SIM card is inside your handset, it’ll be a PIN unlock code attached to the SIM card. If the message still shows without a SIM card inside the handset, it’s probably a PIN lock on the phone which you’ll need to contact the previous owner about. Here’s an unusual question from Canada. A friend has given me an Orange SIM card that was in a secondhand iPhone she had purchased (here in Canada). I am heading to Scotland in September with my unlocked Moto G and hoped the card might work for me when I arrive (having intended to purchase a U.K. PAYG card when I get there regardless). Any idea how I can find out which plan this card is on? The only info my phone tells me is its phone number and, of course, that the service is out of range. I can’t seem to dig through to the answer on the Orange/EE website. Thanks for your comment: I really love unusual questions! 😉 The first thing to note is that Orange Pay As You Go SIM cards expire automatically after 6 months of inactivity. For this reason, it’s possible the SIM card will no longer function when you arrive in the UK. It is still worth trying however: my guide to Orange Pay As You Go might be helpful for learning about their tariffs. TL;DR: text PLAN to 450 if you’d like to find out which tariff you’re on. Argos also sell sim free phones, which will take different sim cards. But they do describe them as ‘sim free’, not unlocked, which presumably means they were not locked in the first place. This isn’t with all the phones they sell though, only some. Thanks for your comment. I believe the SIM-free smartphones sold at Argos should also be unlocked for use on any network. In general, it should be fairly safe to assume SIM-free smartphones are also unlocked. The key exception is for SIM-free iPhones when they’re purchased from a third-party retailer such as the Carphone Warehouse (see the article here for more information). I believe you can bring the iPhone to your local Apple Store and they can check the status on their system (i.e. whether the iPhone is locked and if so, which network it’s currently locked to). Thanks for your comment. It sounds like your phone may have been locked remotely by the original owner of the handset. Can you clarify on the exact message shown on the phone? It’s possible the handset could either be stolen or it may have been incorrectly locked by the previous owner of the handset. Hi Ken.I leave in Cyprus and I bought an iPhone 6 from Carephone warehouse. The phone seems to be sim free and only works with Uk networks. Since I came back to Cyprus the phone hasn’t been activate it yet because it doesn’t support any local career.How can I unlock it? If I’ll send it back to them through a friend they will be able to unlocke it for me? Thanks for your comment. A SIM-free iPhone from the Carphone Warehouse will indeed need to be activated on a UK mobile network. If you ask a friend to activate the iPhone for you, I recommend asking them to use a SIM card from Three. The CPW iPhone will automatically lock itself to the first network you use (choose Three as they’ll unlock all of their handsets totally free of charge with no questions asked). See this article and the comments within it for more information. Hi Ken, I have a Samsung Galaxy Ace 2, on O2 PAYG. As I’m considering rooting the phone, I followed your good advice on checking whether it’s locked by trying an EE PAYG SIM in it. It works – sort of. It starts up OK, and shows EE as the phone network. I can make calls and send texts, but for some reason it won’t receive calls or texts. Obviously this wouldn’t be much use if I was actually intending to use it on EE, but I’m wondering if I’ve done enough to prove that the phone is not locked to O2. My real intention is just to ensure there are no obvious pitfalls before rooting the phone. What do you think? Thanks for your comment. If the EE SIM card is working in your Galaxy Ace 2, this means your handset is already unlocked. It’s rather strange that your Galaxy Ace 2 isn’t receiving incoming calls and text messages (have you been calling the new number assigned to the EE SIM card?). Nevertheless, if the problem persists, you should probably contact EE Customer Services or your local EE store to get the problem resolved (they’ll check the SIM card as well as the phone). With regards to rooting your phone, please be aware that this will only remove certain security limitations placed on the device (think of ‘rooting’ as the same thing as accessing the Administrator account on your PC). It won’t affect the lock status of your phone though do be aware of all the security considerations before you root the handset. Hi Ken, thanks for your advice. I hadn’t thought of going to an EE shop, so I might do that; I certainly didn’t want to spend lots of time on an EE helpline! Yes, I have been using the phone number printed on the EE pack: that’s the number that shows up on caller id on a target phone when I call out, but no joy when trying to call in. I’ve also ordered a Vodafone free SIM to see if that works better than the EE one. Thanks also for the rooting link, which seems a lot better written than some of the stuff I’ve found. Plenty for me to think about! Bill. Can anyone help me find the network that was used on this iphone please? 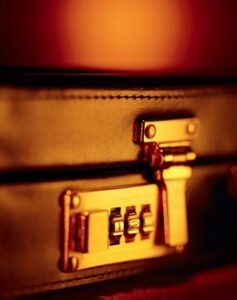 The carrier how can i find? The best thing to do is to ask the person you bought the iPhone from – if not then I’d probably recommend going to an Apple store and asking the guys there. I have an unlocked Orange Motorola Razr i. Is there a chance the phone gets again locked if i upgrade the software or flash using custom firmware(unlocked)? I don’t know whether my phone is factory unlocked or software unlocked. I bought a ‘SIM free’ phone last November but hadn’t decided on which network to use. The phone is a Nokia Asha 300. 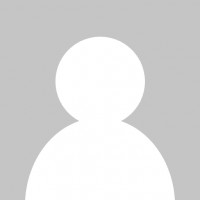 I have recently found that the o2 pay as you go that I did choose isn’t right for my use now so I changed to a Vodafone monthly SIM only deal and received the PUK code and had my number moved. Thing is I’ve tried to put my new SIM in and although the number is now with Vodafone the SIM won’t work in the phone. Vodafone say it’s locked to O2. How can this be if it was bought independently brand new and sealed from a non network retailer? I’ve read about this happening on iPhones with the phone locking to the first SIM but this is a Nokia Asha 300. Sorry to hear about the problems you’ve been having on your Asha 300. As far as I’m aware, only the iPhone will lock itself to the first network you use. I’ve not heard of this behaviour on Nokia phones – are you sure the device was SIM free & unlocked to start with? I wonder if the phone you were provided with was originally locked to O2. The good news is that you can unlock your phone from O2 for £15 (taken from your PAYG credit). To do so, grab a SIM card from O2 and then top it up by £15. You can then fill in this form on their website to request an unlock. basically I have topped up £15 on O2 and then they say that I need to top up another £20 so that they can activate the sim and make a chargeable call to activate it. I have only used the sim to receive calls. Fully agree with Cristyn Lieo! Best way to save your money is buying a SIM free phone. You won’t be troubling with how to avoid this locking and unlocking phones. Great help! I was given a mobile on the 3 network, put my orange sim and everything works except the internet – am guessing now it isn't locked but something else entirely! Great work! The problem is now probably to do with your APN (Access Point Name) settings. For more information see this article on APN settings. If you have a 2 year old purchased when new as a SIm free phone which you take to a network provider to repair, tell them it is SIM free and why and then when you get it back find they have locked it to their network, is this breaking the law?, since they have done something you have not asked for and now are making your life complicated? Great article! I live in Zambia and am looking to buy the Nokia Lumia 710 from Carphone Warehouse through a friend of mine who'll be travelling to the UK soon. Would you know if it is unlocked by default (even though it's being offered by specific network operators there)? I've seen the SIM-free deal, but am hoping to score the PAYG one 'cause its far cheaper! Sometimes Carphone Warehouse provide their phones unlocked, but not always – it isn't guaranteed. Mobiles.co.uk too. If you order online, I guess you can technically return the phone within 7 days on Distance Selling Regulations, or any way you order you can pay the fee to unlock the phone in the event it doesn't come unlocked. I have an Orange France Samsung E1150. I bought it as a prepaid 9 months ago and it is not on contract. I am returning to Australia soon and have tried to get it unlocked through the Orange website but it is all in French and too complicatedf to use. Is there an easy way to get it unlocked without having to deal with Orange in French. They have an English line but not for mobiles. Why not ??????????? ?